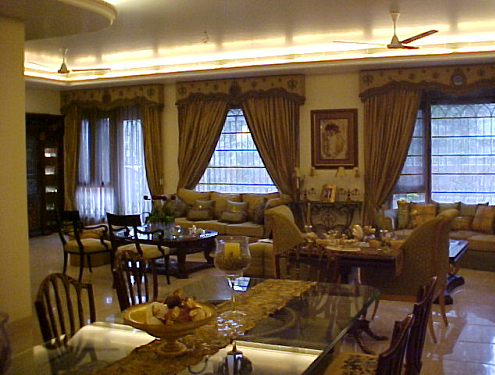 Looking for Furniture arrangement ideas in large living room? Here we are with some unique ideas which help you to arrange your living room furniture in useful manner to get perfect utilisation of the available space in the room. Large living rooms are the plus point of any home but sometimes it become difficult to arrange the furniture in large living rooms also. To furnish the large living rooms it is very important to choose the furniture pieces wisely and to know how to arrange your living room furniture. Measure the exact size of room: Before selecting the furniture pieces and to arrange them it is very important to determine the exact size of a room. Use measuring tape to get the dimensions of a room or measure your foot and then walk heel to toe across the room to estimate the basic size. Once you get the exact size you can be able to get the idea about the size, shape and number of furniture pieces can be arranged in your living room. Select the focal point of the Living room: It is very much important to find the centre of the large living room which could be the focal point of your room and you can arrange your furniture around it. It can be anything from a bay window, fireplace or even a console table that you think reflects the style of the whole room or the house. 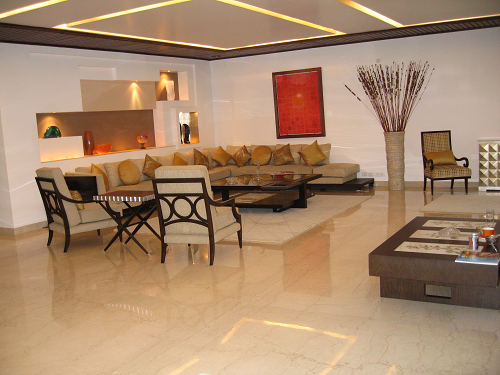 After selecting the focal point arrange the furniture in such a way that it accentuates the beauty of the focal point. Divide the space : It is good to divide the large living room in useful area. You can create two conversation areas or divide the large living and dining space into separate zones by just placing a pair of chairs and a sofa arranged on a rug which defines the conversation area from rest of the room. Be creative in using the space for activities you enjoy. You can create a library or a reading corner. Make a small indoor garden in your living room to bring some greenery. Convert the empty space into a bar area where you can hang out with your friends. Sofa and Chairs are the essential furniture pieces for every living room so before purchasing these furniture pieces measure the space you have. Do not purchase too big or too small pieces. It is always better to make a rough sketch of your room on a piece of graph paper and make a furniture layout by putting the sofa and chairs in a few different positions to get the best arrangement and in terms of leaving space to accommodate traffic flow. Purchase enough seating for the number of people you anticipate having over regularly. It is not advisable to place sofas and chairs against the wall bring them in toward the center of the room or around the focal point of your living room. If the back of your sofa is unattractive, place a nice console table against the back and add a few plants. Rug and carpets are great way to define seating areas. Remember that all of the furniture should be able to comfortably sit on the carpet. Coffee Tables are placed in the center of conversation areas. Always choose center table that height should be slightly lower than the seating height of the sofa and chairs around it. Do not buy too small centre tables as it length should also be roughly one half to two thirds the length of the sofa so that the people sitting around them should be able to lean over to put down or pick up a drink without having to get up from their seat. Leave enough leg room between seats and tables 14 to 18 inches will be sufficient. Side Tables are good two fill the side gaps. Try to place one on either side of the sofa and between pairs of chairs. Height of the side tables should be approximately the same height as the arm of the chair or sofa they're next to. Decoration is always incomplete without having suitable accessories so once you have done with furniture placement now it's time to select and think about where to place the living room accessories. To accessories the large living rooms select large pieces of wall art, bold patterns, and tall pieces of pottery or glassware. 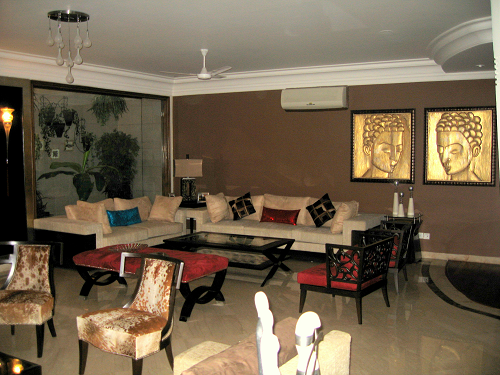 You can also choose large canvas painting or wall niches to get the perfect look and ambiance. We hope the above ideas will help you to get suitable furniture arrangement for large living room and you get the perfect look which you always want.